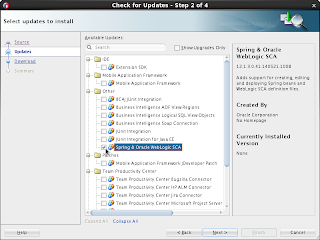 A few weeks ago I did a BPM12c Quickstart Installation under Oracle Linux 6. Everything went smoothly, as described in the install guide as well as on many blogs already. But I found that most of those blogs did an installation under Windows, where I did it under Oracle Linux in Virtualbox. You would think (as I did) that it shouldn't matter. However, it turns out that in JDeveloper I was missing the 'BPM Application' amongst others in the JDeveloper New Gallery. Very inconvenient. I couldn't find any hints on the big internet. My friend Google wasn't very helpful in this. But I wouldn't write this blog if I did not solve it. It turns out that with an update I got it solved. 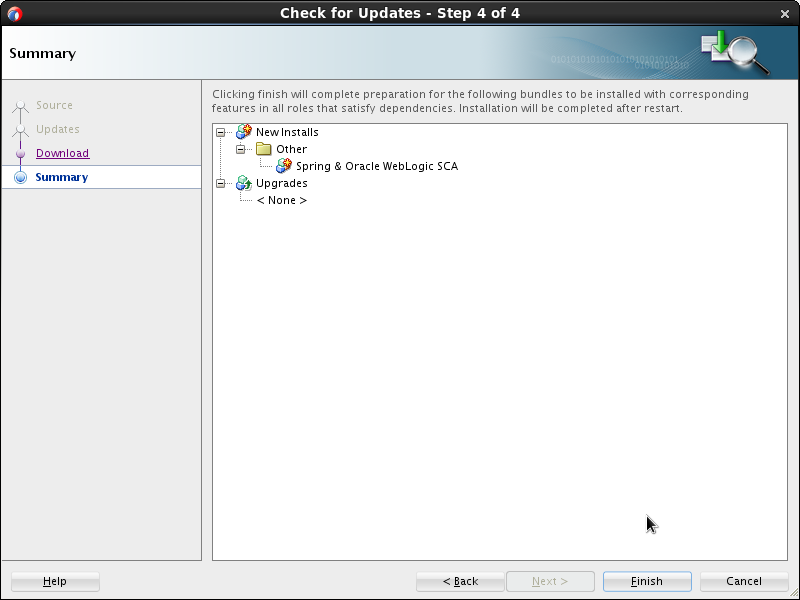 It turns out that I lacked the 'Spring & Oracle Weblogic SCA' extension. Using the Help->Update functionality I downloaded and installed that and after restarting JDeveloper my 'New Gallery' was properly filled. Confirm when asked for restarting JDeveloper. 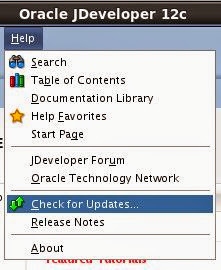 Update 2014-12-01, last week I also found this document on oracle support to do a clean of your jdeveloper. Same problem here, on OSX (Mavericks AND Yosemite). But i cant find the Spring update, it is also missing. I'm no Mac-user. I could only suggest to post your question to the soa-forum on communities.oracle.com. You probably should use the Oracle BPM Suite quickstart instead of SOA Suite. I was also missing the BPM application wizard and following your instruction, it's there now. I was also missing the BPM Application feature and I had installed many times Jdeveloper using bpmqs (quickstart) with no luck at all. Many thanks for the great tip! 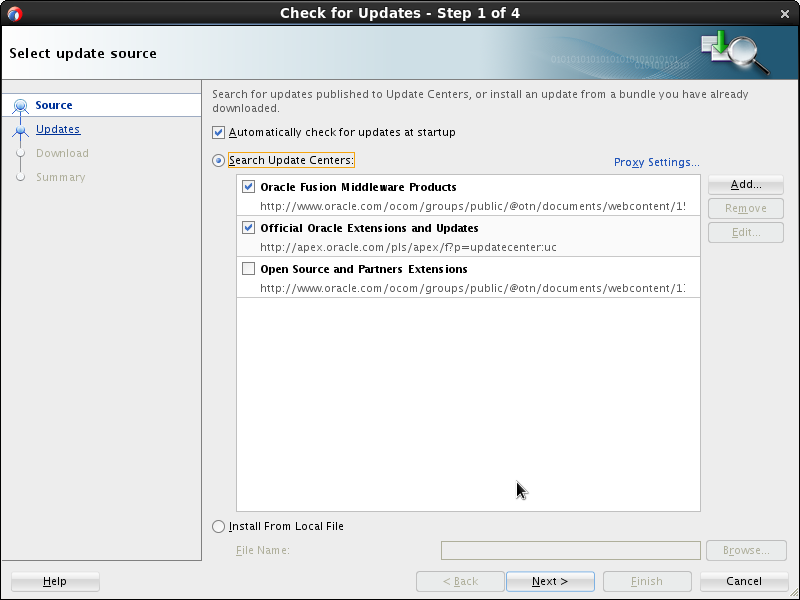 I am using 12.2.1 JDeveloper and required extension doesn't appear in updates available screen. I haven't been able to do a 12.2.1 install yet. 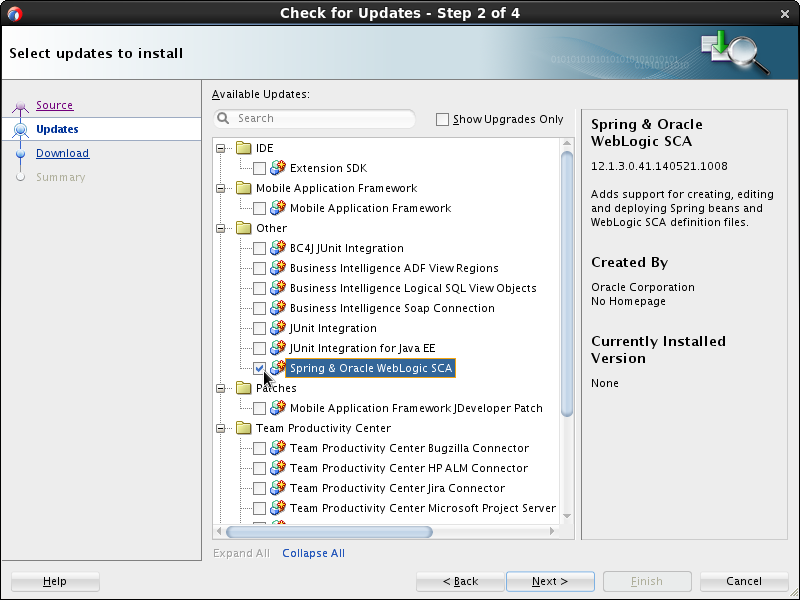 But did you pick the SOASuite Quickstart install (http://www.oracle.com/technetwork/middleware/soasuite/downloads/index.html)? Or did you install the vanilla or studio version of JDeveloper? 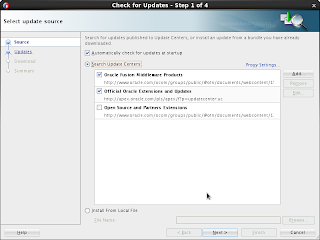 You should pick the SOASuite Quickstart install. i am missing the BPM project from gallery and applications. i have tried to do the path change in ide.boot and also added the spring and SCA extension under updates. it still doesn't work and i have no clue what it might be. can anyone specify any debug steps to narrow down the issue? from same update menu I've installed BPM Suite and it helped me. Guillermo Solla Charro - thanks for a solution. I had several installations (SOA Suite versions) on my MacOs and it seems all of them used the same workspace location. Once I created separate one - it worked.